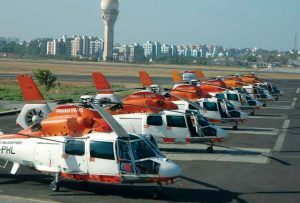 India’s long awaited dream project first heliport, built by state-owned Pawan Hans in the northern part of the capital, is set to become functional next week, a year after successfully undergoing trial runs. Boost for Modi’s regional connectivity scheme our Union Civil Aviation Minister Ashok Gajapathi Raju will inaugurate the new facility on February 28, which has come up at an investment of Rs 100 crore, Pawan Hans Ltd Chairman and Managing Director B P Sharma told PTI. It is set up at Rohini area of North Delhi,has a good capacity of 150 passengers, four hangars with huge parking space of 16 helicopters. The heliport is a 100-crore project and will be integrated one with a chopper maintenance, repair and overhaul (MRO) unit. The heliport will also be used for operating services for disaster management, emergency medical services, law and order surveillance as well as a centre for the skill development of pilots and engineers.